The Government of Canada will increase the use of direct deposit by phasing out federal government cheques by April 2016. Why choose direct deposit payments? Convenient—Faster access to your money. There is no risk of your money being held up as a result of unforeseen delivery issues. Reliable—Your payment will always be on time, and your money can begin to earn interest right away. Secure—Direct deposit is fast, reliable and safe. There is virtually no risk of your payment being lost, stolen or damaged. Low-cost—With fewer cheques to print and mail, we are saving Canadian taxpayers' money. The cost to produce a cheque is approximately 82 cents while a direct deposit payment costs about 13 cents. Myth: I'll always be able to get a cheque from the Government of Canada and have it mailed to me. Fact: More and more Canadians are using direct deposit. The Government of Canada is committed to using taxpayer dollars wisely and increasing the use of direct deposit by phasing out cheques by April 2016. This transition will contribute significant savings through the reduction in the use of paper and related cheque-printing and delivery costs. Myth: When I sign up for direct deposit and give my banking information, the Canada Revenue Agency (CRA) can also use this information to take any money I may owe from my bank account. Fact: If you owe money to the CRA, giving your banking information will not trigger the process of withdrawing money from your bank account. When you register for direct deposit, you do not authorize the CRA to withdraw money from your bank account. When a taxpayer owes money to the CRA and must make payments, the CRA works with the taxpayer to come to an agreement. The CRA can only withdraw money from a taxpayer’s account when a garnishment is in place. A garnishment is a legal procedure to withdraw money from a bank account. Myth: My banking information may not be safe if I sign up for direct deposit. Fact: The CRA uses the same high levels of security that financial institutions use to protect your banking information. Go to Security for more information about security and the CRA. If you move, let us know your new address as soon as possible. Otherwise, your payments may stop, whether you receive them by cheque or direct deposit. Are you changing your bank account information? If you are changing any bank account held in Canada into which we deposit a payment, be sure to tell us about your new bank account. In addition, do not close the old bank account before we deposit the payment into the new bank account. If your financial institution in Canada notifies us of a change in your banking information, we will deposit your payments into the new bank account. Only one form to fill out and you’re done! The Government will deposit all payments from different federal departments directly in your bank account. If you are registered for My Account, you can sign up for direct deposit now. If you are not yet registered, find out how using My Account can help you quickly and easily manage your tax affairs online. Fill out the Direct Deposit Enrolment Form. Mail it to the address indicated on the form. To sign up for direct deposit, or change your banking information, call 1-800-959-8281. Fill out RC366, Direct Deposit Request for Businesses. Mail it to one of the tax centres. For questions about direct deposit, call 1-800-959-5525. Fill out Form RC231, Vendor Electronic Payment Registration Request. Mail the form and a void cheque to the address on the form. Canadian financial institutions won’t be required to report directly to American tax authorities, Finance Minister Jim Flaherty announced Wednesday. Read: Who’s on the hook for FATCA? Canada’s reached an agreement with the U.S. about FATCA. Canadian banks would report relevant information on accounts held by U.S. residents or citizens to CRA, which would share it with the IRS under existing tax treaty rules — making it consistent with Canadian privacy laws, said senior government officials. Even better news is, Canadian financial institutions won’t have to report on accounts smaller than $50,000. It also exempts RRSPs, RDSPs, RESPs, RRIFs and TFSAs. Today’s deal puts additional pressure on Americans living in Canada who, intentionally or not, haven’t been filing to the IRS, says Kevyn Nightingale, a tax expert at MNP LLP. Today’s deal means the odds of showing up on IRS’ radar just rose dramatically for those who don’t make good with Uncle Sam. The Investment Industry Association of Canada (IIAC) welcomes the deal. “This agreement will greatly reduce the burden of compliance for financial institutions and the risk of unintended consequences to Canadians by requirements imposed under [FATCA],” it said in a statement. The IRS will also provide more information on certain accounts of Canadian residents in U.S. financial institutions, it said. Local banks with 98% or more of their account value with Canadian residents, as well as small financial institutions with assets totalling less than $175 million — such as credit unions — are also exempt, officials said. Although financial institutions will have to start collecting the information in July, officials say the CRA isn’t expected to start sharing the information with the IRS until 2015. Canadian bankers had previously said that such an arrangement would be an improvement over what the U.S. initially wanted, but it’s not ideal. They say current Canadian law does not require banks to ask clients whether they are also U.S. citizens and changing bank procedures could cost tens of millions of dollars in administrative fees. The U.S. Foreign Account Tax Compliance Act, which takes effect in July, would compel Canadian banks to report information about anyone considered a U.S. resident or citizen directly to the IRS. For purposes of capital cost allowance (CCA), the ceiling on the capital cost of passenger vehicles is $30,000 (plus GST and QST) for vehicles purchased after 2013. The limit on deductible leasing costs is $800 per month (plus GST and QST) for leases entered into after 2013. Under a separate restriction, deductible leasing costs are prorated where the value of the passenger vehicle exceeds the capital cost ceiling. The limit on the deduction of tax-exempt allowances paid by employers to employees using their personal vehicle for business purposes remains 54 cents per kilometre for the first 5,000 kilometres and 48 cents for each additional kilometre. The maximum allowable interest deduction for amounts borrowed to purchase a passenger vehicle is $300 per month for loans related to vehicles acquired after 2013. The prescribed rate used to determine the taxable benefit respecting the portion of operating expenses which relates to an employee's personal use of an automobile provided by the employer remains 27 cents per kilometre. For taxpayers employed principally in selling or leasing automobiles, the prescribed rate remains 24 cents per kilometre. For a number of people seeking student loan debt relief, bankruptcy might seem like the only debt solution. But is it, really? In general, your student loans will only be discharged in a personal bankruptcy in Canada if you have ceased to be a student (full or part time) for at least seven years. There is a ‘hardship’ rule that says that a bankrupt with student loans may apply to court to have their student loan debt reduced or discharged after five years. But the flip side of this is that the government can still oppose your bankruptcy discharge for student loans and request that you pay back some or all of your student loan debt. It is worth noting that when it comes to dealing with student loans, bankruptcy is not the only choice. You have a few options. Negotiate payment terms you can afford. You could talk to your Canadian and provincial student loans lender (the bank, the government, or the collection agency), and try to work out payment arrangements and get some debt relief. You can also try a debt consolidation loan to consolidate your student loan debt with other debts like credit card debt. By lowering your interest cost you may be able to manage your monthly payments and reduce your student loan debt sooner. File a consumer proposal. If you do not qualify for a student loan debt consolidation loan, debt relief may be possible by filing a consumer proposal. This strategy is particularly successful if you are working and have the ability to pay something, but not the full amount, and only need more time to pay off all of your debts. Consumer proposals can only be filed by a licensed bankruptcy trustee. Even if your student loan debt is less than 7 years old, you may be able to deal with your other debts, like credit card debt. This will reduce your monthly debt payments making repaying your student loan debt possible. Bankruptcy. Your last resort for relief from student loan debt is bankruptcy. However remember, Canadian student loans in bankruptcy are only automatically discharged if they are more than 7 years old. If you need help with your student loan or other debts — and you want a free, professional assessment of your current financial situation — contact an expert today. If you have filed for bankruptcy, then you are far from alone. Even though it can be very disheartening and stressful, it is by no means the end of the world, nor the end of your credit worthiness. If you plan carefully and learn to manage your money better, you will be able to improve your credit score and qualify for a loan sooner than you think. Don’t allow your bankruptcy to sit on the books and on your credit for longer than necessary. Have a serious talk with your trustee about your goals to get back to credit worthiness. Complete all your bankruptcy duties including making your payments in full and on time. Failure to complete your duties will result in a longer bankruptcy, increasing the time your bankruptcy will remain on your credit report as well. Take advantage of the credit counselling classes that are part of your bankruptcy duties. Ask your credit counsellor to help you understand where you went wrong so you can manage your money better going forward. Learn budgeting skills and how to use credit properly so you can build better habits for a stronger financial future. After your discharge, and before you begin to rebuild your credit, it is a good idea to have a budget in place. This will allow you to keep track of where your money goes, and how much of it can be cut back. The goal is to start spending less than you earn. Check with local community organizations for some free budgeting classes. You need to put together an emergency fund that will carry you for at least 4 months in the event of job loss or injury. You will never get ahead if you have to file bankruptcy every time a twist comes in the road. No matter what you do to try and repair your credit, it will all be useless if you continue to have negative behaviour reported in your credit history. The best thing that you can do for you credit is to always pay your bills on time. Once you have your emergency fund saved up, it is time to begin rebuilding your credit. Secured credit cards as well as unsecured credit cards are available just to help people build credit, or rebuild bad credit. The offers that you will receive on a secured credit card will have high interest rates and high annual fees. Here’s the trick. Use these cards in place of cash – do not build up your debt again. When you decide on a card, please note that though it may be easier to get a secured credit card from a third party finance company it looks more favorable to get one from a bank or credit union. Other institutions in the position to give you money prefer people who re-established their credit with a mainstream lender. Never use more than 30% of your credit limit. For the best results, pay a small monthly bill like the electric bill with it. Wait for the statement to run, then pay off the balance in full. Do this every month, and this will save you from accruing high interest rates while keeping your monthly balance low. After your credit score has been reinstated and you have some savings you can begin taking on loans again. Keep in mind that your first bankruptcy stays on your credit report for 6 to 7 years. Even after those years are up, you are required to inform lenders that you have declared bankruptcy before. This could affect your chances of approval. However, there are personal loan lenders in Canada who seek out individuals who have been discharged from bankruptcy because at that point those individuals tend not to have any existing debt burden, hold a strong debt to income ratio and thus make good candidates for loans. 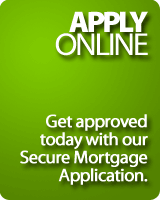 Remember that initially any loan you may qualify for will have a high interest rate. To improve your chances of getting a mortgage, it is best to continue your saving until you have more than 5% to put down, and that you have homeowner mortgage loan insurance. The bigger your deposit though, the lower your rate. Generally it will take two years of established credit from the date of your discharge before you will qualify for a loan as large as a mortgage. Always consult with a trustee before declaring bankruptcy, as they may have options that work better for your situation. During your bankruptcy, you are required to perform certain duties. As long as you perform your duties during bankruptcy, you will be discharged and your debts will be eliminated. 1Surrender your assets. In most cases in a bankruptcy your assets will be exempt from seizure, which means you won’t lose your clothing, or household furniture. However, if you have a house that’s worth a lot more than what’s owing on the mortgage, or a valuable car, you are responsible for surrendering that asset. TIP: Before declaring bankruptcy, review with your trustee all of your assets, and determine what you will be required to do to assist your trustee. If the trustee is required to sell your car (which would be unusual in most bankruptcies), you will obviously want to make arrangements for alternate transportation before you go bankrupt. 2Give your credit cards to your trustee. According to Directive #3 from the Office of the Superintendent of Bankruptcy, you are required to deliver all credit cards to your trustee (except for credit cards issued to a third party, such as a credit card provided by your employer). More information is available on the government’s website, Duties of the Bankrupt to Deliver Credit Cards to the Trustee. 3Attend two credit counselling sessions, to help you learn ways to better manage your money in the future. The first session must be completed within 60 days of your date of bankruptcy, and the second session must be done within 210 days. 4 Each month you are required to provide proof of your income and certain expenses, so that your trustee can calculate your surplus income. 5 Provide all information necessary to file your tax returns. A “pre-bankruptcy” tax return will be filed (which covers the period from January 1 to the date of bankruptcy) and the trustee will also receive your “post bankruptcy” tax refund, so the trustee will request your T-4 slips and other tax information at the end of the year. 6 Finally, during your bankruptcy you will be required to make payments to your estate. Each situation is different, but in most cases you will be required you to make a base contribution each month to cover the costs of administering your estate, and in addition you are required to make your surplus income payments based on your income. This is just a simple summary of the duties of a bankrupt, so you should consult with your trustee to fully understand everything you will be required to do during your bankruptcy.